Arsene Wenger is disappointed by the sack mentality in the Premier League. If Malky Mackay loses his job at Cardiff – which seems imminent – Wenger’s 17 years in charge of the Gunners will be a longer spell at his club than the other 19 put together. 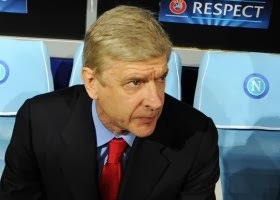 The French tactician said: “There is no real secret other than maybe I was given more time than many other managers. On my side I just try to be completely dedicated to my job. “I think every other manager would do that as well and I believe honestly that apart from my case, technical stability is important for football and for the quality of the managers. To be given time is important first of all when you’re a young manager you need to learn the job. “Nobody goes in a job at 33,34 years of age and knows the job. If he’s not given the time somebody else comes in and he has the same problem. There are some countries where the instability of managers is chronic.